 Digital Sense is an enterprise technology partner to medium to large size businesses and government organisations in Brisbane and across Australia. Our team structured our marketing strategy as a two-stage process, of three months each – agreeing to reach three Digital Sense rebranded in 2017, however did not have the in-house marketing skills to manage the creative agency or develop a plan to take them to the next level. To efficiently implement the tactical marketing plan that was developed as part of the strategy phase, Outsource to Us provided a marketing and social media manager onsite one to two days a week to create cohesion with the Digital Sense team and establish foundational contact with the client. Outsource to Us was able to increase their followers on LinkedIn by 33% through weekly content, resulting in 2 new large project wins. Rebuilt the company’s website to make it user friendly and integrate it with the Salesforce and Pardot, providing the tracking and reporting needed to prove result. Lou Browne has a long career history in multi-platform marketing B2C and B2B product and brand development having worked in industries as varied as wine and spirits, beauty and scuba diving. As well as a passion for social media, website design, events, marketing planning and strategy, she prides herself on her skills in relationship building.